Keeping your lawn and garden in top shape can often come down to basic preventative care. It’s important to have your outdoor space checked and treated on a regular basis to ensure that every plant is healthy and thriving. Because every lawn and garden is unique, hiring a professional to evaluate your individual situation can help lead to a plan that meets your property’s unique needs. Mulching and dethatching are two important steps that can help prevent your yard from developing costly and more complicated issues in the future. Having your flowerbeds mulched can provide many more benefits beyond a fresh and healthy appearance. Mulch can help plants and their roots hold more moisture, especially in hot, dry weather. Mulching with rocks may help plants grow more efficiently, as they absorb heat and transfer it to the soil. This creates a more ideal growing environment for flowers, trees and shrubs by keeping the plants warmer without a drying effect. Using newspaper below mulch creates a biodegradable weed barrier by blocking sunlight to stop unwanted growth. A healthy lawn will eventually develop a layer of thatch between the soil and the fresh, green layer of grass. This thatch is made up of a variety of items from nature, including roots and stems from your grass and other plants. A normal thatch is actually beneficial for your lawn, as it helps protect the soil and living roots from erosion and dehydration. However, a thatch that’s too deep can lead to serious problems for your lawn, including an inability to grow new, flourishing blades or the growth of a detrimental disease. Dethatching may be necessary if your thatch has become overgrown. You may want to seek help from a professional landscaper; it could cause severe damage to your lawn if done incorrectly. Mulching and dethatching are two important processes in maintaining a robust and beautiful yard. Because this maintenance should be done carefully and on a regular basis, you may need to hire a professional to ensure it is done properly and is not overlooked until it’s too late. 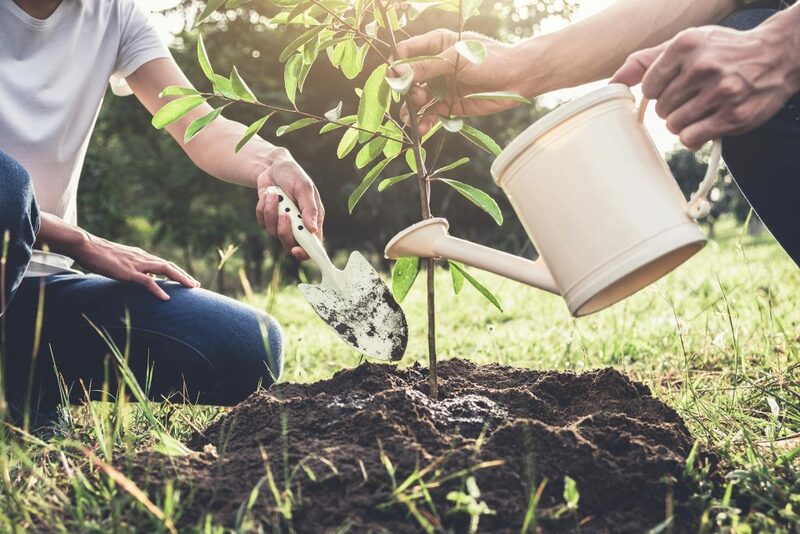 Whether you plan to grow a vegetable garden, beautify your lawn with a colorful flower garden or keep your yard simple with just grass and a few hedges, there are a few spring cleanup measures you need to take to ensure you lay the perfect foundation for the growing season. Read on to learn what four things you can do to ensure your yard looks great this coming season and for the seasons to come. Winter winds, rain and snow likely wreaked havoc on your lawn, leaving snapped twigs, broken branches and dead leaves scattered everywhere. If you want to ensure your grass grows green and lush and that you’re able to maintain it (read: mow it) without issue, spend a warm spring day picking up fallen sticks and raking up leaves. Many homeowners don’t take the time to aerate their lawns, but if you do, your yard will thank you for it. Aerating punctures holes in the soil and gives it room to breathe. After just a few days, the holes will begin to fill themselves in and leave little evidence of the process behind. However, your luscious grass and fruitful vegetable garden will serve as signs that you took this extra spring cleanup step. Some of your foliage may need a little boost after the cold months pass. Add fertilizer to give your plants the nutrients they need to promote healthy growth. If you’re not a fan of fertilizer, use other amendments such as lime and iron, both of which are proven to benefit dormant greenery. If you deal with weed overgrowth, pests or other lawn issues throughout the spring and summer months, protect your plants with herbicides, pesticides and pre-emergents. Talk to your local landscapers about options that are safe for you, your pets and your children but that effectively do their job. If you want a lush, vibrant lawn this spring, spring cleanup is necessary. If you don’t have time to do the cleanup yourself, talk to your local landscaping company about how it can help. Between work, running the kids from place to place, taking care of the home and all of the other responsibilities you squeeze in between all that, your schedule is full, if not completely overflowing. Yet, when the snow begins to fall, you have to make time somewhere between making breakfast and heading to work to shovel your driveway. Talk about disheartening. Fortunately, there is a way that you can lighten your load—hire a professional snow blowing service to clear your drive for you. Despite popular belief, most professional blowing services are affordable. Most companies offer their services to entire neighborhoods, that way they can knock out multiple jobs at once. This not only reduces expenses on the company’s end, but it also lowers the price for customers because workers are able to complete more jobs in a shorter amount of time. For one low fee, which is normally charged monthly, you can have your driveway cleared before you even wake up. 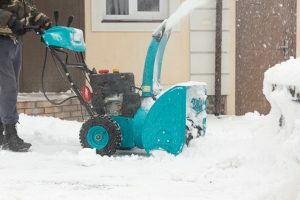 Best of all, instead of the job being “sufficient enough” for you to back out of your driveway, a reputable snow blowing company will make sure that you have a nice, smooth and safe surface to walk on from your front door to your garage. This means that your front steps and any pathways between your home and any outdoor areas you need to access will be completely cleared. Shoveling snow can be dangerous and detrimental to your physical health. Not only do you risk catching a cold or coming down with the flu by being out in the cold, but also, you risk throwing out your back or developing chronic back pain. By hiring a professional blowing service, you can prevent both short-term illness and long-term pain—and all of those pesky medical expenses that come with poor health. If you live in an area that receives a lot of snow, save yourself time, money, hassle and pain by hiring a professional snow blowing service this winter. Do you have a yard that has lots of shrubs? If so, you likely know how important it is for them to be regularly pruned. Not only does it make your landscape look beautiful and well taken care of, but pruning shrubs can also aid in producing more blooms. However, before you begin snipping away, there are a few things you should know. It may seem harmless, but pruning in the fall can actually damage your plants, especially if a frost happens to hit earlier than usual. Regardless of the kind of shrubs in your yard, hold off on pruning until they are in dormancy. Late winter and early spring are typically the best times of the year to prune because they help stimulate blooming. However, the ideal season may vary depending on what types of plants you have. A landscape contractor can help you figure out what time of year is best for your yard to be pruned. Pruning shrubs isn’t a one-time project—instead, it should be a process that is ongoing. Throughout the year, have broken or sick branches removed and cut away sprouts that are growing quickly. 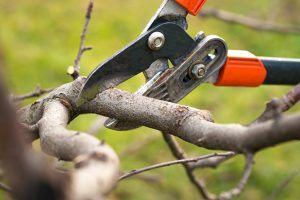 Outside of your seasonal pruning, be careful not to cut away too much, and instead try to fix only immediate issues. If you notice that your plants are getting very dense, it may be time to get them trimmed. This is because shrubs need an adequate amount of air circulation and light in order to remain healthy. Too many branches can prevent the plant from receiving these necessities, and should therefore be removed. Fall cleanups in the garden contribute to a healthier and more productive spring garden. However, once summer’s harvest is over, the list of cleanup chores can seem endless. From mulching beds and cutting back perennials to fertilizing lawns and cleaning tools, much of the work is physically demanding and time consuming. Here are five popular to-do items for gardeners. Adding a walkway to your yard can add beauty as well as usability. The path can be functional, providing a clear passage from the garage or carport to your front door. A brick walkway can also be used to highlight features of your yard such as a garden or pool. When designing and installing your walkway, different selections can vary the cost of the project. Regardless of the cost, there are also some clear benefits to a properly installed walkway. A retaining wall, or a wall that is used to hold earth in place, is something that a lot of homeowners may need to use around their yard. However, a lot of people might not know everything they should before installing such a crucial structure. Here is some important information that every homeowner should know about retaining walls and how to choose the right material for your wall. A backyard should be a place to escape the stress of the day, unwind, and meander among the flowers. But to stop and smell those roses, you’ll need a pathway to get there. 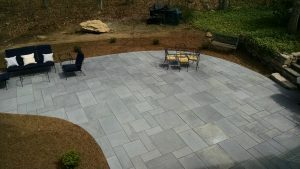 Landscaping for patios and walkways opens up a world of possibilities for creativity in your garden. From flagstone steps to your front door, to paving stone paths winding to an outdoor dining area, the options are endless.